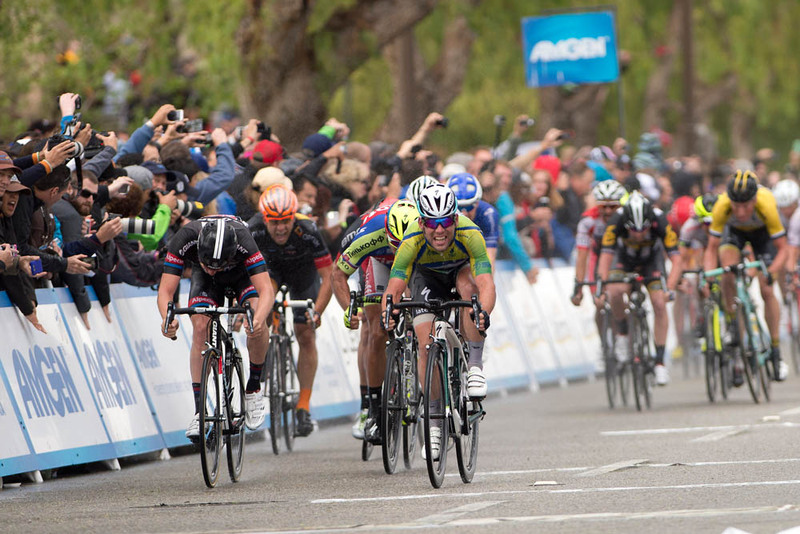 Mark Cavendish (Etixx-QuickStep) claimed his third stage win in the 2015 Amgen Tour of California on Thursday, beating his rivals on a rain-soaked day to take the bunch sprint in Santa Clarita. 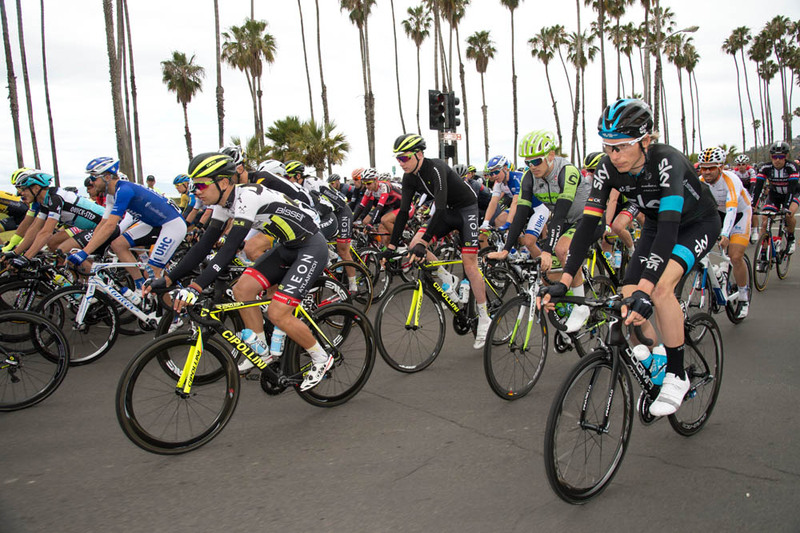 Manxman Cavendish out-paced sprint rival and the previous day’s stage winner Peter Sagan (Tinkoff-Saxo) to win, with Sagan also being bettered on the line by Belgian Zico Waeytens (Giant-Alpecin) in second. Cavendish’s win means that he extends his points classification lead over Sagan – it’s also his 12th victory of the season, no rider has won more in 2015. Latvian Toms Skujins (Hincapie Racing) held on to his overall race lead, now just 18 seconds ahead of Sagan after you factor in the Slovakian national champion’s time bonus for finishing third. Frenchman Julian Alaphilippe (Etixx-QuickStep) moves up to third, with British national champion Peter Kennaugh (Sky) now in ninth. Skujins’s Hincapie team had done a good job of chasing the day’s escape group down with some help from Cavendish’s Etixx squad, and despite a crash in the final six kilometres the majority of the peloton held together for a bunch finish. The riders now face a revised individual time trial stage on Friday. An adverse weather forecast for snow and low temperatures has meant that the stage has been moved from Big Bear Lake to Santa Clarita in the interests of rider, team and spectator safety. 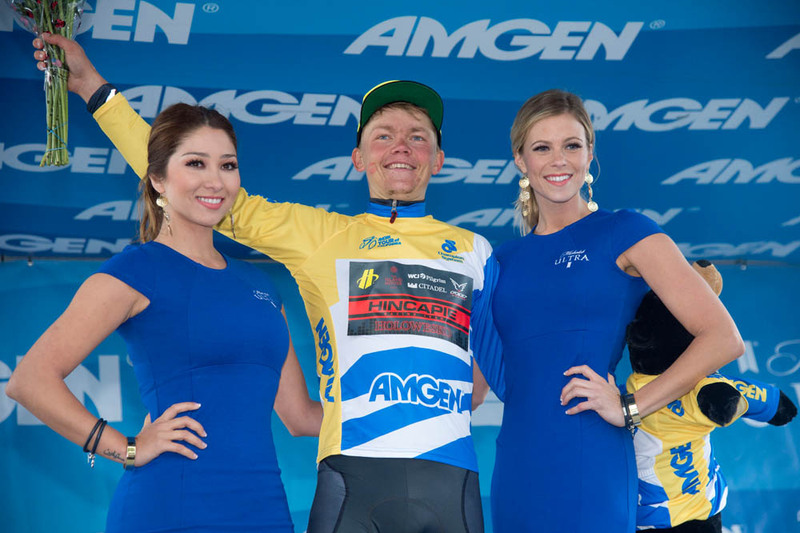 The American stage race concludes on Sunday.